In 2016, Ott Consulting entered into a contract with the Roseto Borough Sewer Authority, Northampton County, to provide engineering and survey services required for the maintenance and operation of the Borough’s sewer system. These services were essential to the Borough’s Sewer Authority providing critical detail documentation of all system facilities. Our first responsibility involved our survey team locating each manhole in the sanitary sewer system and collecting elevation data for the rim elevation and the invert elevation in the middle of the flow channel. From these surveys, we prepared an overall system map in addition to as-built plans and profiles for each sanitary sewer main. As a result of a Department of Community and Economic Development (DCED) grant application prepared in 2016, working with the Borough Sewer Authority, Ott Consulting assisted in preparing a detailed contract for sanitary sewer cleaning and televise/manhole rehabilitation of the borough-wide sanitary sewer system. Project tasks that were performed during 2018 included cleaning and televising the sewer mains in the entire system with reports, manhole inspections with reports, chemical root removal, and test & grout seal joints. 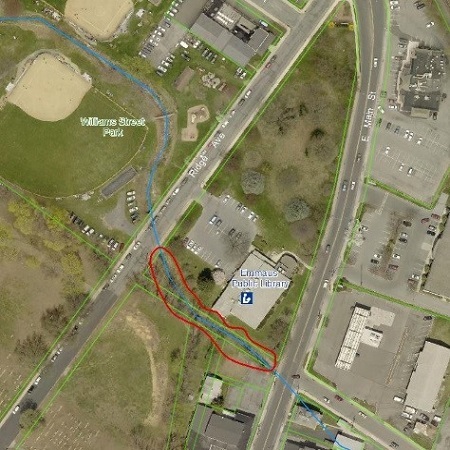 In coordination with engineering services and improvements to the sewer system, OCI prepared a comprehensive Geographic Information System (GIS) plan as a management tool to assist the Borough in the day-to-day operations and maintenance of the sanitary sewer system. All inventoried location reports and CCTV videos have been linked to their respective points or lines in an ArcReader project. In addition, OCI used a GoPro Camera mounted to a vehicle to collect at-grade videos along each pipe run. On June 30th, Jeffrey L. Ott, P.E., M.B.A., S.E.O., President of Ott Consulting Inc., joined the Joint Environmental Advisory Council (EAC) of Upper Milford Township and the Borough of Emmaus in a clean-up of the riparian buffer area located behind the Emmaus Public Library. The clean-up effort involved removing invasive plants and debris along the buffer at the stream between Chestnut Street and Ridge Street. On Wednesday, April 11, 2018, Jeffrey L. Ott, PE, MBA, President of Ott Consulting Inc., the Township Engineer for Washington Township, presented information regarding the Township’s stormwater management system, a part of a MS4 Public Outreach Program. Stormwater regulations associated with the Federal Clean Water Act (CWA) are administered under the Municipal Separate Storm Sewer System (MS4) program. The MS4 program focuses on managing discharges into the waters of the region through education and implementation of proper control measures and best management practices (BMPs). Mr. Ott discussed the goals and requirements of the MS4 program. The primary focus of his presentation was to discuss the six minimum control measures required. These requirements include public education and outreach on stormwater impacts (BMPs), public involvement/participation, illicit discharge detection and elimination, construction site runoff control, post-construction stormwater management, and pollution prevention/good housekeeping. Secondly, Mr. Ott reviewed the Ordinance requirements that every MS4 permittee must enact which: is consistent with DEP’s 2013 model ordinance or DEP’s 2022 model ordinance, or is from an Act 167 plan that was approved by DEP in 2005 of later, or meets the requirements in DEP’s Stormwater Management Ordinance checklist. Lastly, Mr. Ott discussed the Pollutant Reduction Plan (PRP) requirements, which must be addressed. The PRPs require existing pollutant load calculations. A specific load reduction must be accomplished within a 2018-2023 permit term. The preparation of a PRP also involves the mapping of drainage areas, reducing loads by existing BMPs, identifying required load reductions and locating planned BMPs. Ott Consulting Inc. recently prepared a successful application to the PA Department of Community and Economic Development (DCED) for a small water & sewer grant. The DCED awarded the Borough of Alburtis a grant in the amount of $300,000. Ott Consulting Inc. is spearheading the preparation of plans for a sanitary sewer rehabilitation project which includes rehabilitation of sewer lines, laterals and manholes within the Borough of Alburtis. The project is a continuance of the Inflow & Infiltration (I&I) reduction program, which aims to reduce the I&I issues by systematic rehabilitation and replacement within the Borough. The intent of the project is to seal leaking pipes and manholes and address structural concerns primarily by rehabilitation efforts. The results of these investigations will identify the appropriate rehabilitation technique. The rehabilitation project is scheduled for summer 2018. 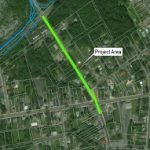 Ott Consulting Inc. aided the Borough of East Bangor in obtaining the necessary funding through an LSA Program Grant for a Stormwater Remediation Project along North Broad Street. The awarding of this grant will allow the rehabilitation of the existing, collapsing system, thereby mitigating hazards for public and private property in the area by properly managing the stormwater runoff and eliminating the damaging erosive conditions. OCI supported the application of the grant in an effort to protect the natural resources of the area and the health, safety and welfare of the citizens within the Borough. OCI is currently finalizing the contract documents for bidding and construction.